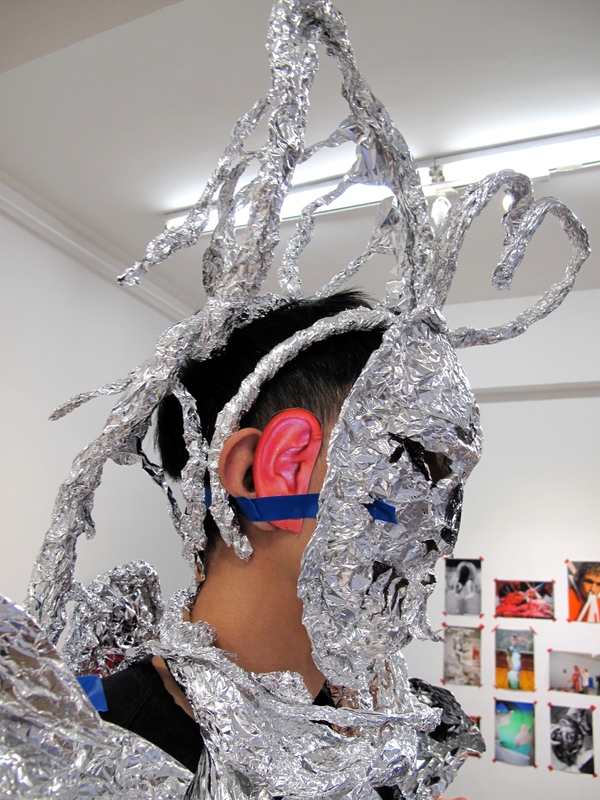 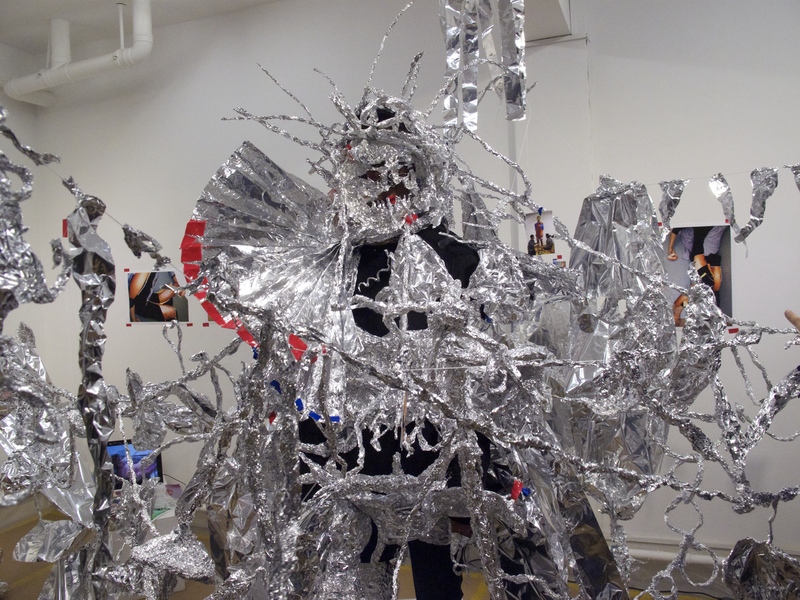 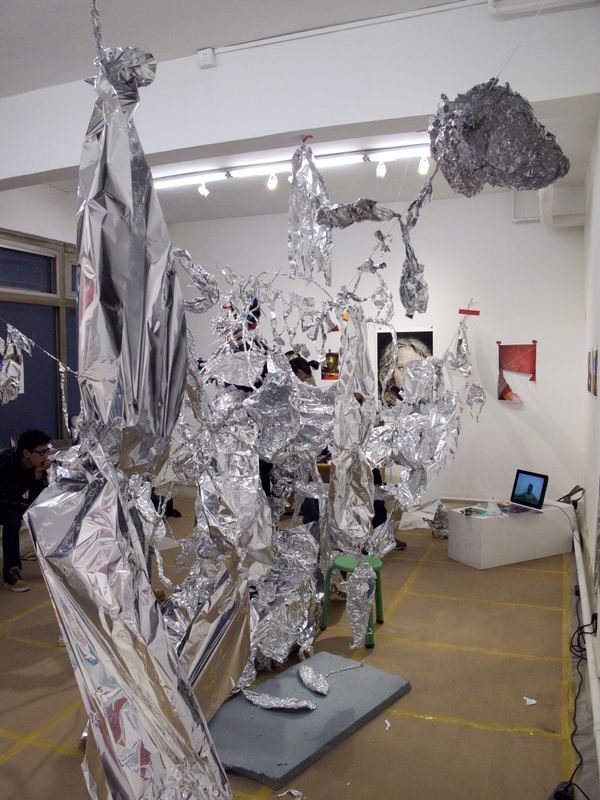 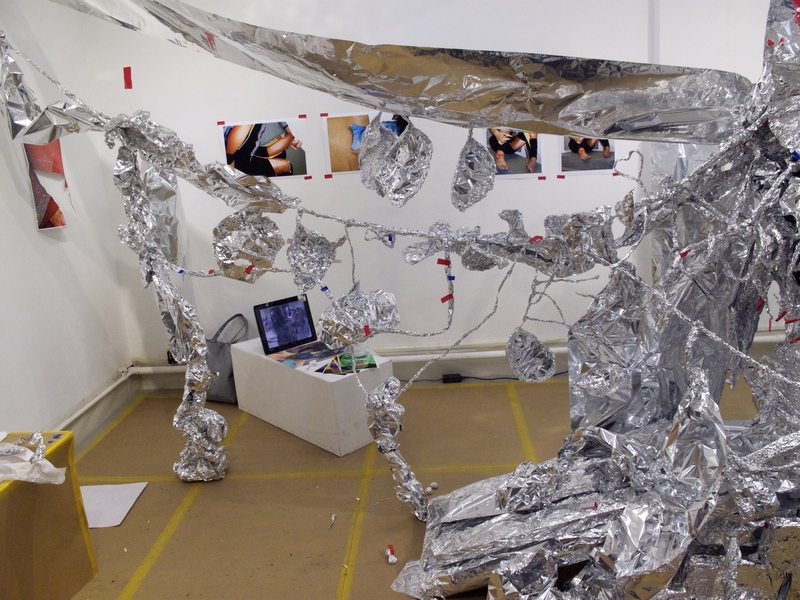 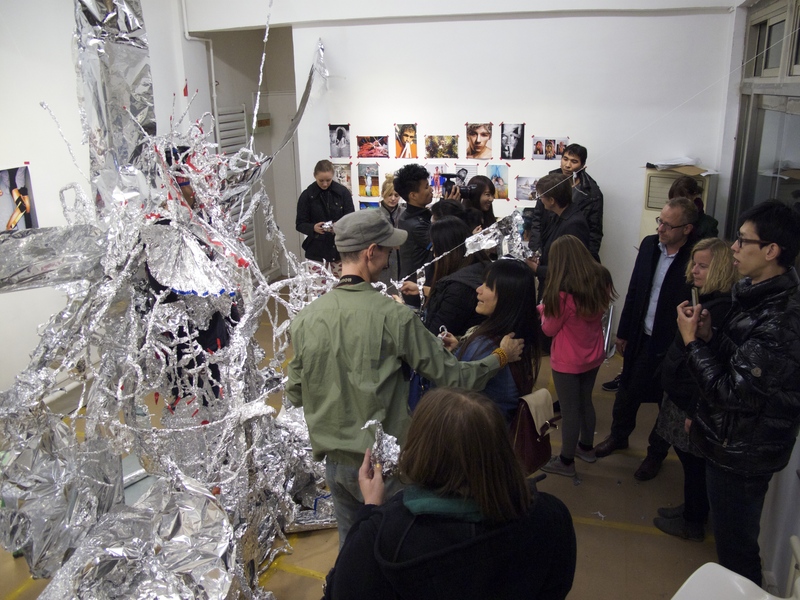 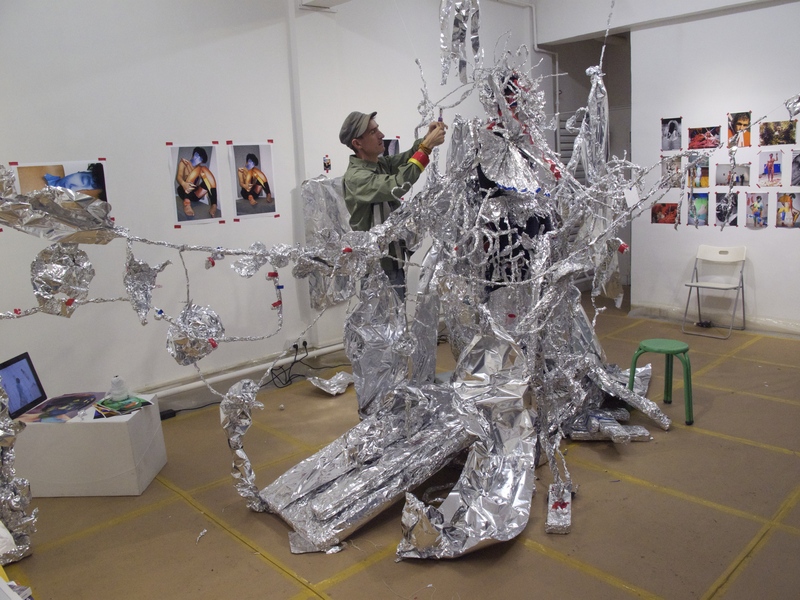 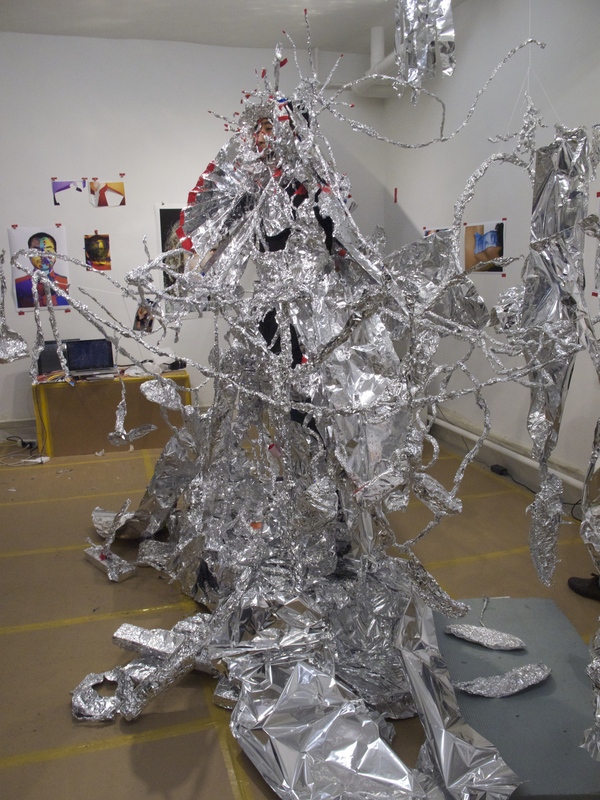 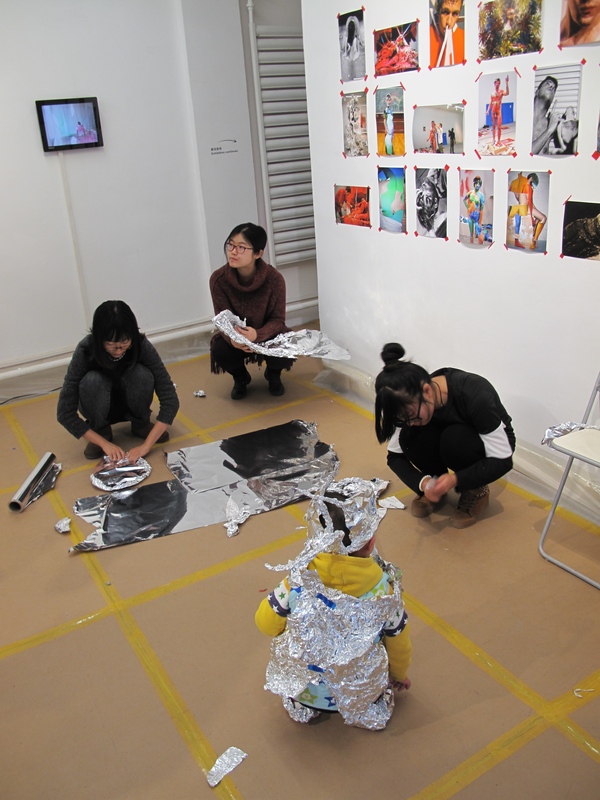 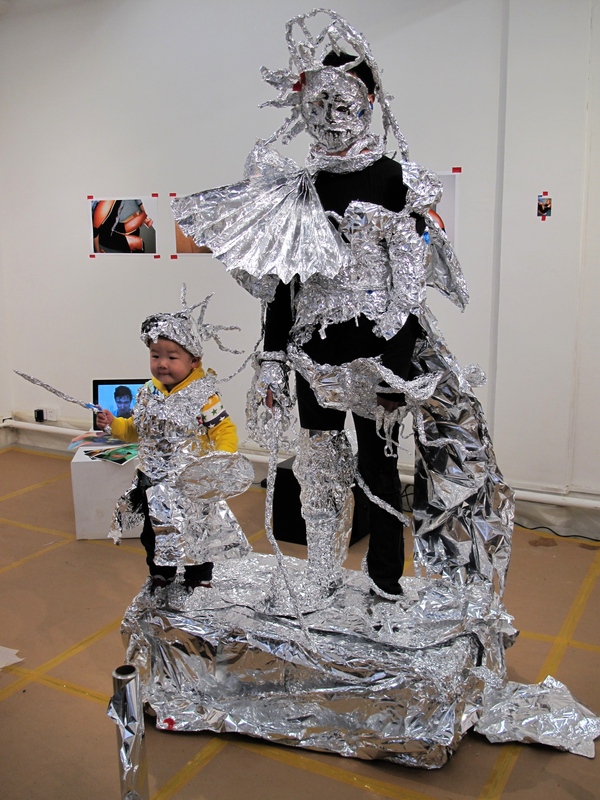 Oliver Herring’s 2nd all day performance at Telescope, Areas for Action, Beijing: Aluminum Foil, was a spectacular event. 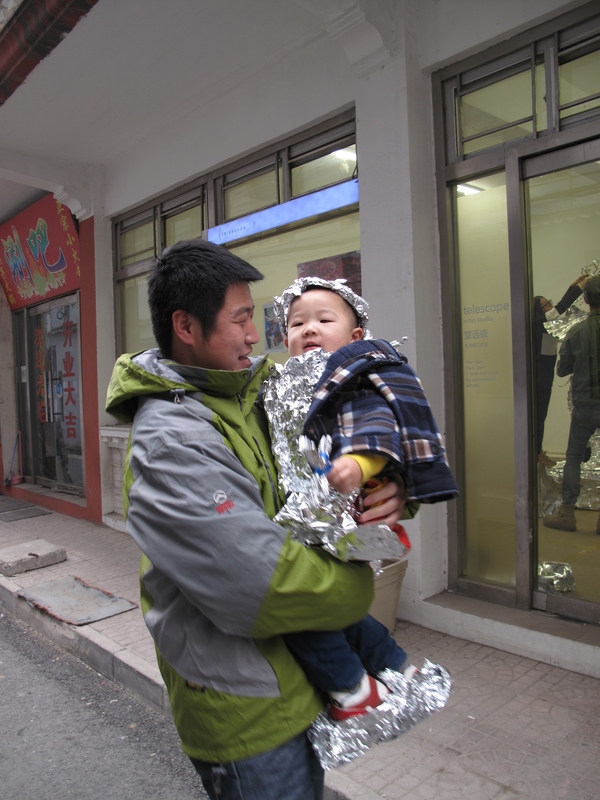 Hundreds of local villagers, children, students, artists, workers, tourists, etc. 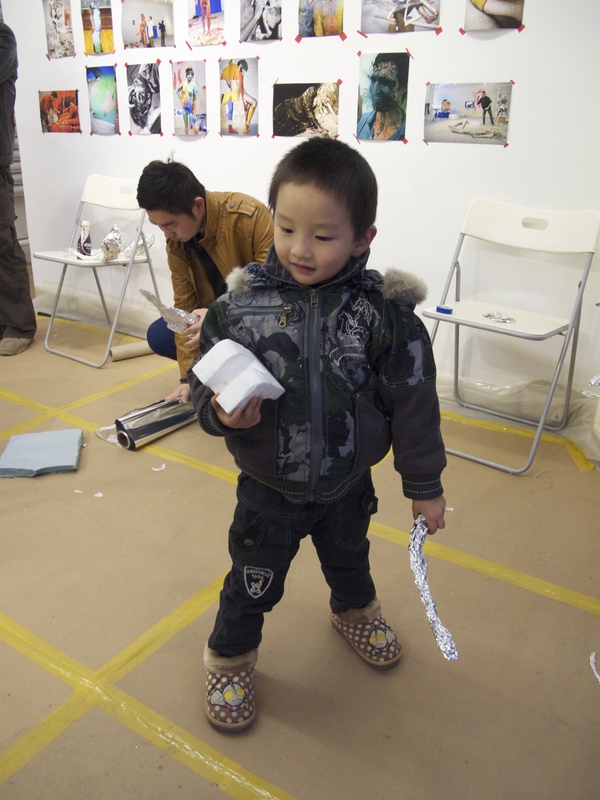 came by to look and to participate. 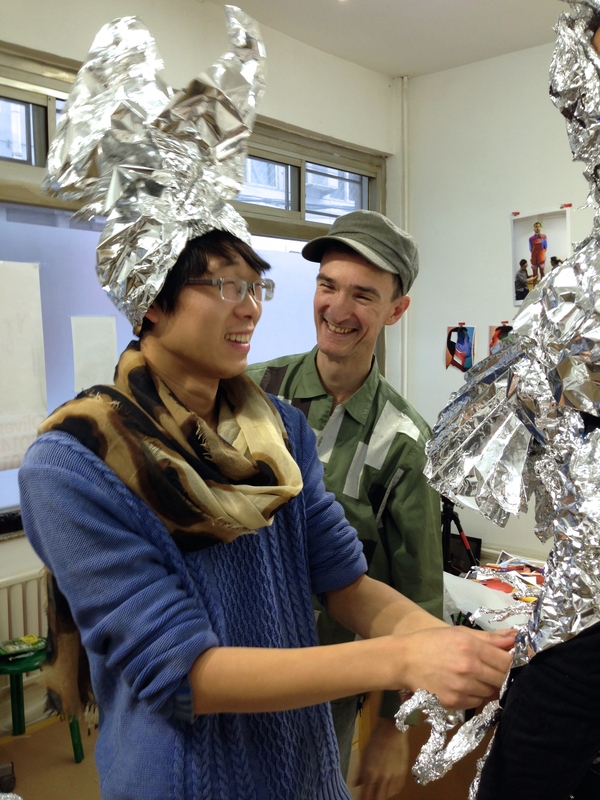 BON TV (Blue Ocean Network, an English language news network based in China and available internationally) came to interview Telescope and Herring and to film the project. 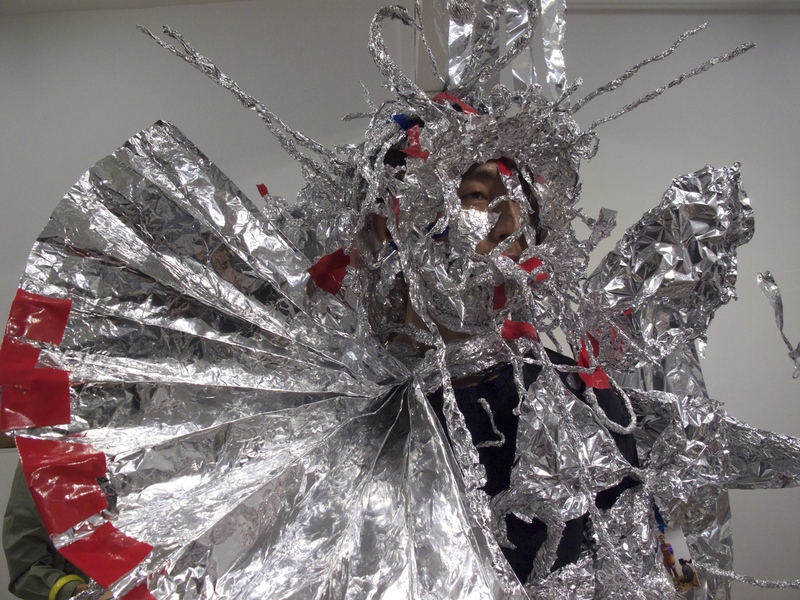 Herring selected my assistant and Telescope’s own, Lin Lei, to be the model for this work. 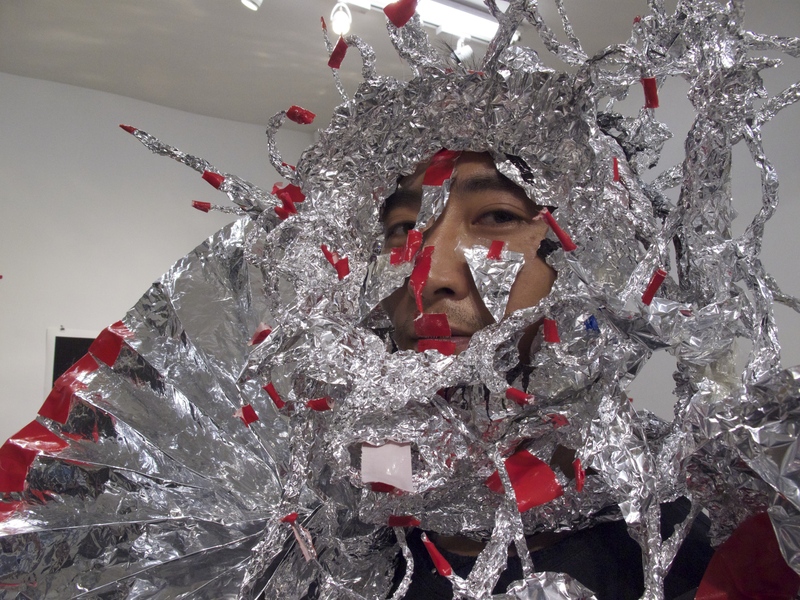 At high noon, Lin Lei, dressed all in black, took a standing position upon a blue Styrofoam platform and waited for silver foil to be applied to his body by Herring and whoever else wanted to come in and participate. 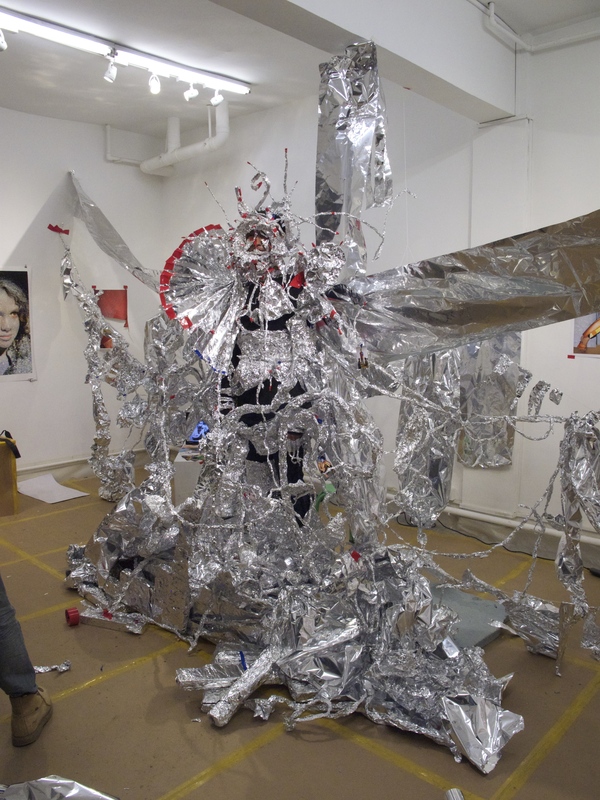 The only rule people had to follow was that foil could be applied but nothing could be removed. 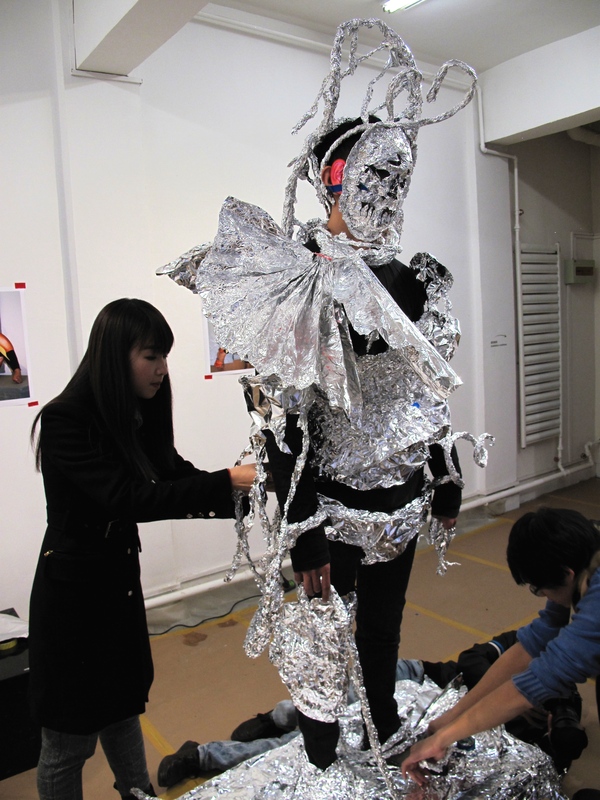 Over the next 6 hours this motionless standing figure was transformed from a common man to a magnificent and never before seen creature; an ancient Chinese operatic warrior entering a future world from the emperor’s tombs of Xi’an, dazzling, but nowhere to go. 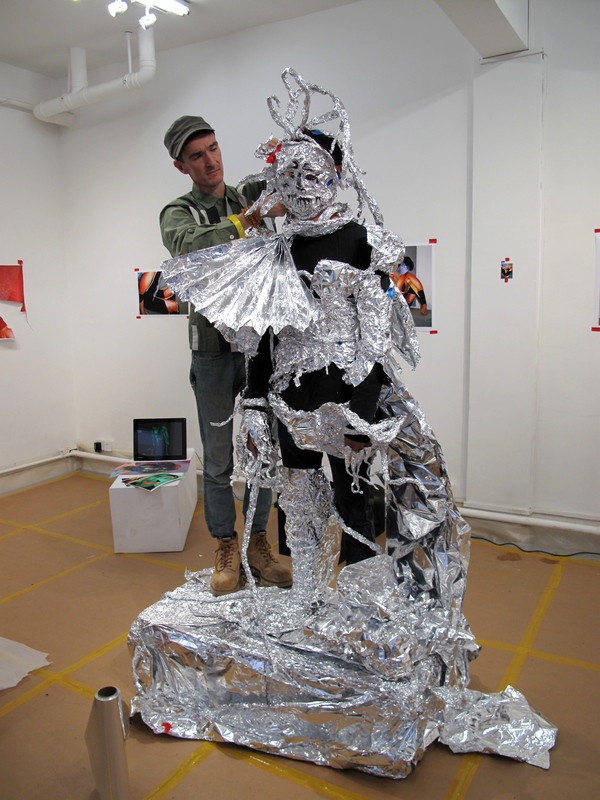 Please see my last post for more info on Oliver Herring’s Telescope residency and performances. 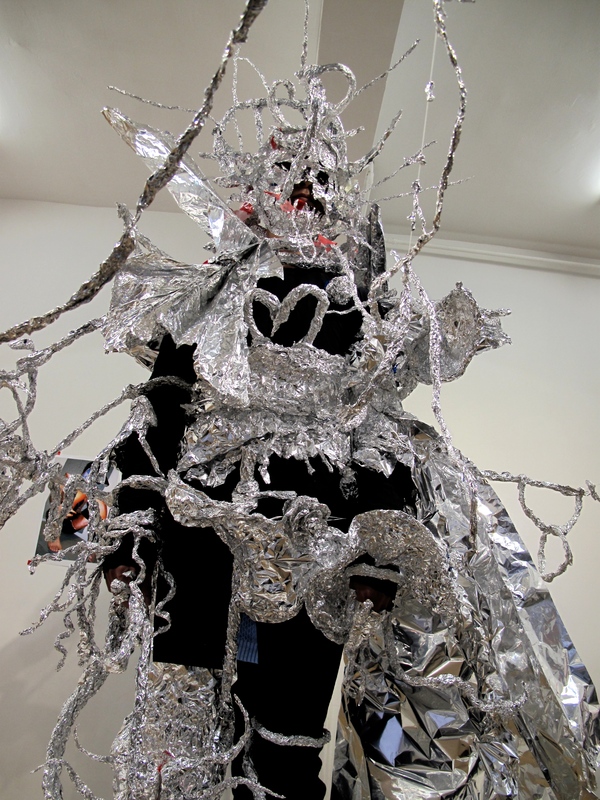 Telescope would like to thank Kristi Jernigan and Beam Contemporary Art for their support for the Oliver Herring residency and exhibition.